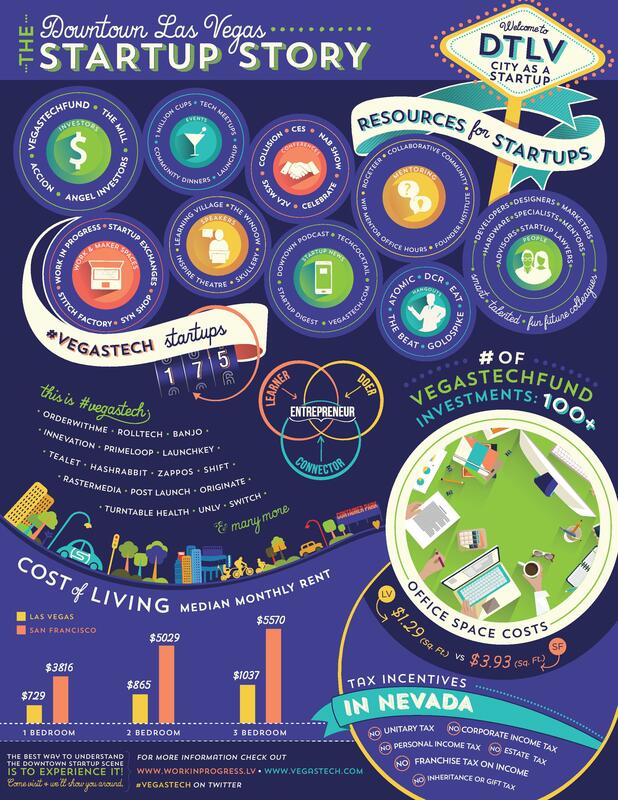 To get an accurate picture of the startup scene in the #VegasTech community, the VegasTechFund talked to new and long time residents, key players and received insight from entrepreneurs to investors. “We also wanted to show how Vegas is a great place to start a company and so we included tax and cost of living information,” Sara Hill said. You guys need a development school, like DevMountain.com down there! Hey Tyler! Thanks for the comment. Since you’re with DevMountain, you might be able to help with that! (: Might be worth chatting with the team at DevPointLabs about their experience with opening a class in the #VegasTech community. Amazing infographic. Curious who designed this infographic, want to hire them for a project! Random chance coming across your comment but I plan on moving to Vegas and came across this infographic. I don’t know who made it but (attn *shameless plug ahead) my company http://www.designerinfographics.com can create similar. Question for Jackie: If you were to drop into Las Vegas to get involved in the tech community where is the first place you would go to meet people? Hey David, please check out vegastech.com/about to see places to connect. Thanks!